A recent survey by The Sellability Score found businesses that can perform well without their owner for a period of three months are 50% more likely to receive an offer to be bought, when compared to businesses that are more owner dependant. There is no better justification for taking a blissful, uninterrupted holiday! Simply the better the company performs in your absence; the more valuable it will be when you’re ready to sell. To gauge your company’s ability to handle your absence, start by taking a vacation. No computers, emails or mobiles. Upon your return, you’ll probably discover that your employees got resourceful and found answers to a lot of the questions they would have asked you if you had been just down the hall. That’s a good thing and a sign you should start planning an even longer vacation. You’ll also likely come back to an inbox full of issues that need your personal attention. Instead of busily finding answers to each problem in an attempt to clean up your inbox, slow down and look at each issue through the lens of a possible problem with your people, systems or authorisations. Why did this problem end up on my desk? Who else could have provided the answer this question and why was that person not consulted? If nobody else is qualified, who can be trained to answer this question next time? Systems – Next, look at your systems and procedures. Either the issue should have been dealt using your current systems or re-write them to deal with the issue. The best systems are hardwired and do not require human interpretation; but if you’re not able to lock down a technical fix, then at least give employees a set of rules to follow in the future. Authorisations – Are you the bottleneck in your own company, if you’re trying to control costs too much. Employees may know what to do, but do not have the any means of paying for the fix they know you would want. For example, you could authorise your customer service people to spend up to £50 provided it makes the customer happy. Can you allow an employee to spend a specific amount with a specific supplier without your approval? Or perhaps an annual budget they can spend without seeking your approval, letting them get on with the job they are employed for. Given the problems that may need to be sorted on your return, taking a holiday may seem more of a hassle than it’s worth. However, if it shows you the issues to turn into systems and training to solve problems, the vacation is worth its weight in gold. Your company will increase in value, as it becomes less dependent on you personally. 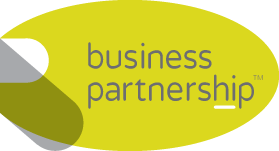 The Business Partnership have been helping business owners sell their businesses since 1979. You can learn more about The Business Partnership here. Next Post How valuable are your sales?